Explored various databases: Cassandra, Neo4j. worked on 2D and 3D visualization of data. Worked on webapp linking to automation tool of business process with real time updates. In Hostel Management, developed backend and API to be used in android application. 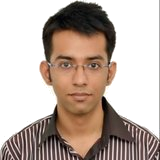 ankurarora.in / ankursmooth.com was updated on "23:35 Sunday, 31 March 2019 (IST)". Template Copyright © 2016 ddbullfrog MIT licensed Jekyll Theme - All rights reserved.